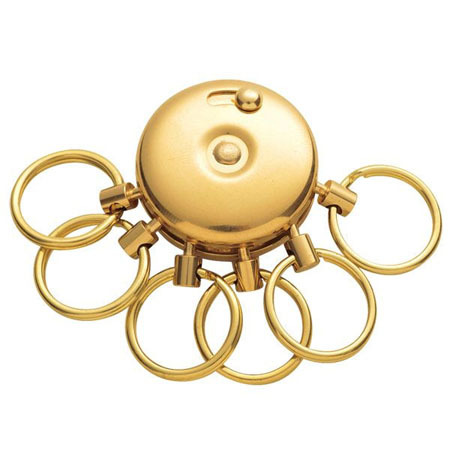 This sleek multi key-ring holder with quick release is a customer favorite! Super compact; unlike other bulky key rings on the market. Measures only 1.6 x 0.25 inches! Small enough to fit in a side pocket or purse. Easily remove each ring with a simple touch mechanism. Its clean lines and durable Japanese-made construction set this multi-ring key holder apart from all other key holders. Perfect for husband and wife and makes a GREAT gift too! The Multi Keys 6-Key Ring Holder with Quick Release is made and imported from Germany. Did we mention this makes a great gift? 15% Lowest Price Guarantee on this product.